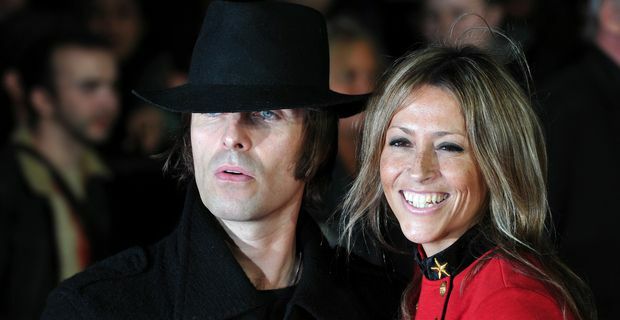 We'd imagine that relations between Liam Gallagher and his wife Nicole Appleton are a little frosty after the latest revelations about the former Oasis singer. The Sun broke the story that Liam is being sued after fathering a child with writer Liza Ghorbani. Apparently the singer met the writer when she interviewed him in 2010. The story alleges that he ended the secret affair when Ghorbani became pregnant. The baby, called Gemma, was born in January 2013. The revelations are hardly going to make home life easy for Liam, who married Nicole five years ago. They have an 11 year-old son. Liam greeted the news with typical maturity, donning a T-shirt with the slogan "Baby F*** Off" (an old punk song from transsexual singer Wayne County). He also necked numerous rum cocktails and tequila for brunch at his Ibiza hotel. Friends of Ghorbani denied that she was trying to claim £2 million from the singer. "She just wants some support," a friend told The Sun. "She is really upset by the whole ordeal, especially because he led her on. He said things to her that made her think they had something more. But now he wants nothing to do with them." Reports allege that Liam has already admitted paternity, telling Ghorbani in an email that the baby was blessed with his "rock star genes" (presumably escaping "uncle" Noel's notorious monobrow). "He is supposed to submit how much he earns," the source added, "but he keeps delaying and hasn’t done so yet. He seems to be being deliberately uncooperative." Maybe he is just embarrassed about revealing how little money Beady Eye's album has made. Whether the story will result in a split with Nicole remains to be seen. If she forgives him, presumably Liam's wife will be keeping her own beady eye on all future interviews with female journalists.